Coca-Cola is one of the most recognized brands on the planet—surveys consistently find that around 94% of the world’s population recognizes the red-and-white logo. More than one billion bottles of Coke are sold every day, and people claim to prefer the drink over its main competitor, Pepsi. Why the everlasting popularity? While sound business practices and global reach certainly have huge impact, Coca-Cola has one huge advantage its competition does not: logo longevity. But Pepsi didn’t stop there. 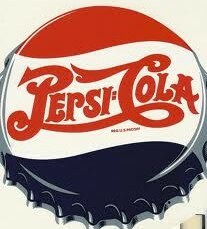 Beginning in the 1950’s Pepsi started changing and developing its logo, sometimes changing it drastically. Meanwhile, Coca-Cola’s logo remained the same. The bottlecap logo is changed, but the colors stay the same. This logo remains unchanged for around 16 years. A dramatic change in Pepsi’s logo. The current Pepsi logo is a far cry from the original logo of the 19th century. In blind taste tests, people consistently prefer Pepsi over Coke. Yet when both beverages that are labeled, Coke wins every time. Researchers have coined this phenomenon the “Pepsi Paradox,” and for a long time could only guess that Coca-Cola’s marketing was responsible for the preference. 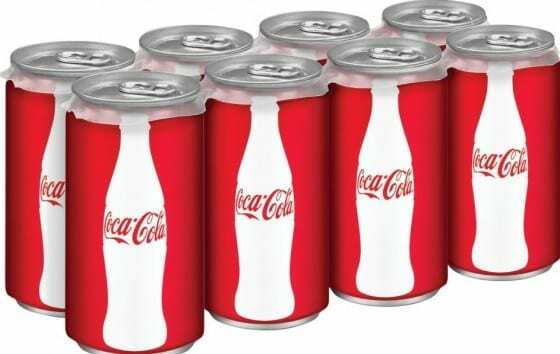 In 2004, Read Montague, a researcher at Baylor College of Medicine, did a study that showed just how ingrained the Coca-Cola brand has become to the millions of people who prefer it. Montague performed MRI scans on volunteers while they drank both Pepsi and Coke. Sure enough, when people drank samples of both Pepsi and Coke, without being told which was which, they preferred Pepsi. The MRI scans showed that the Pepsi caused greater activity in the ventral putamen, the part of the brain that registers pleasure. But once the volunteers were told which beverage they were tasting, they immediately switched their answers and stated that they preferred Coke. During that taste test, the medial prefrontal cortex of the brain lit up on the MRI. That part of the brain is associated with memories and self-identification. The higher-functioning prefrontal cortex actually over-rode the more visceral part of the brain that acknowledges pleasure—branding beat out actual taste. So if people actually prefer the taste of Pepsi over that of Coke, why do our brains change our minds once we know we’re drinking Coke? Because we associate Coca-Cola with strong memories and identify the brand in positive ways. Coca-Cola’s marketing has always been about creating feel-good memories. The old-fashioned Christmas advertisements with the vintage Santa Clauses, the “I’d Like to Buy the World a Coke” commercials, the more recent adorable baby polar bears… all are designed to evoke warm, fuzzy feelings about the brand. Since the basic Coca-Cola logo hasn’t really changed since its inception, consumers can take all of the feel-good advertising and associate it with one image. When considering Pepsi, that isn’t the case, since the basic logo has changed so drastically over the years. So every time Pepsi releases a new feel-good campaign, consumers must connect it to a different image. Sticking to one logo doesn’t mean that your brand will feel stale and old. Instead, it helps maintain that brand throughout the years and multiple advertising campaigns. People like the comforting feelings that tradition holds. They’re able to create stories around a brand when it looks consistently familiar. So when you’re creating your first logo, aim for a timeless design that can be incorporated into your branding for decades. Does Your Signage Do More Harm Than Good?